Kingdom Of The Crystal Skull was Steven Spielberg's incredibly belated and incredibly disappointing fourth entry in his action-adventure franchise, in large part due to the addition of several baffling sequences (see Shia LaBeouf's rope-swinging), terrible CGI, and the late-game reveal that aliens were behind the whole thing! Aliens! In Indiana Jones! 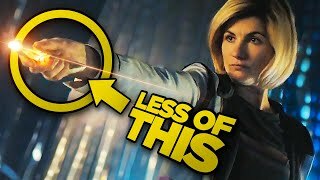 It just didn't seem to fit, and the revelation that there was extra-terrestrial life in this universe was directly at odds with the grounded, down-to-Earth feel of the Indy character. Sadly, if we'd all paid more attention to the film's poster, we'd have known that aliens were coming and so could have avoided the film at all costs. The above poster features Indy stood in front of a giant crystal skull. But look closer, between the eyes of the skull, and you can see what appears to be the face of an alien creature, sat just above the dark patch that is the skull's nose. 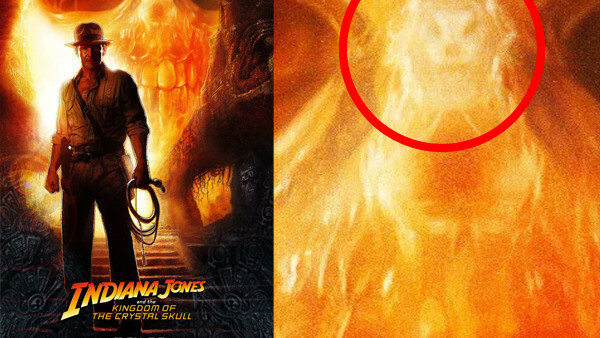 It's hard to make out even with a zoomed-in look, and that was probably the point; maybe the marketing team didn't want us to know that Indiana Jones was about to be ruined.